On October 26, 2018, car engineer Anthony Levandowski completed the first coast-to-coast journey in a fully self-driving car, beginning at the Golden Gate Bridge in San Francisco and ending at the George Washington Bridge in New York. According to Levandowski, he didn’t interact with the car for the entire four-day trip, and he even recorded a time-lapse of it online. For years, the self-driving industry has viewed a coast-to-coast test run as an ideal demonstration of the technology’s scope, but companies such as Tesla have consistently delayed promises to undertake the journey. 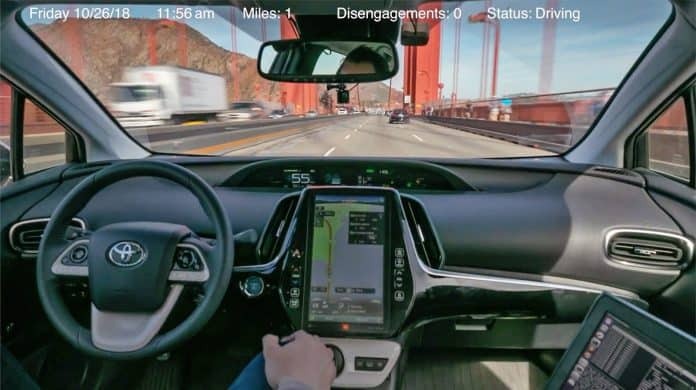 Levandowski, who once worked as a researcher for Uber, hoped the trip would show off the feasibility of his company Pronto’s self-driving technical stack. Although, capacity-wise, the stack is only comparable to Tesla’s Autopilot feature, Pronto strives to create the best technical foundation for autonomous vehicles in the world. The Toyota Prius that Levandowski drove on his 3,099-mile adventure has just six external cameras. However, it also contains an indoor camera that monitors the driver’s alertness. If the driver’s attention falters for long enough, the car pulls over and shuts down on its own. Unlike most self-driving cars, this one doesn’t have a LIDAR sensor on the roof or digital maps that track the car’s progress. Levandowski’s achievement is noteworthy in part because he was at the center of a major lawsuit settled in early 2018 between Uber and Waymo. He was alleged to have stolen thousands of documents from Waymo while employed with Uber. In addition, Levandowski was accused of manipulating self-driving software while working at Google so he could travel onto forbidden routes. How much his recently acquired infamy may color his success with Pronto’s self-driving technology remains to be seen.